n the summer of 2011, Telesgop re-enacted the journey of an 1820s Royal Irish Mail coach from London to Holyhead and celebrated it with a week of live programmes and events. 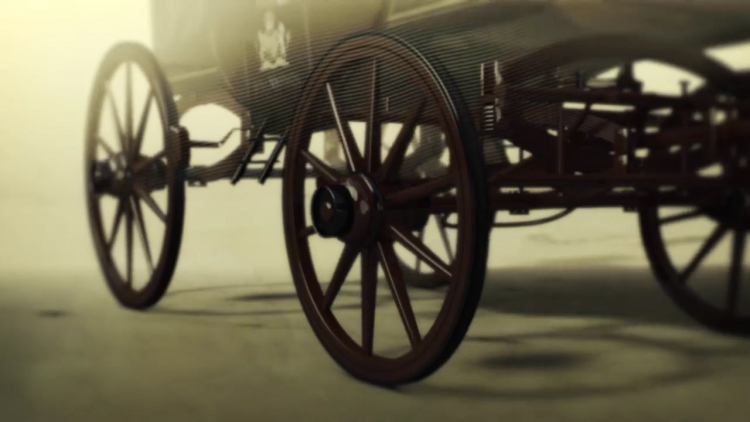 A replica coach was built for the programme and we built a CGI coach and galloping horses with dynamic animation for the graphics package. 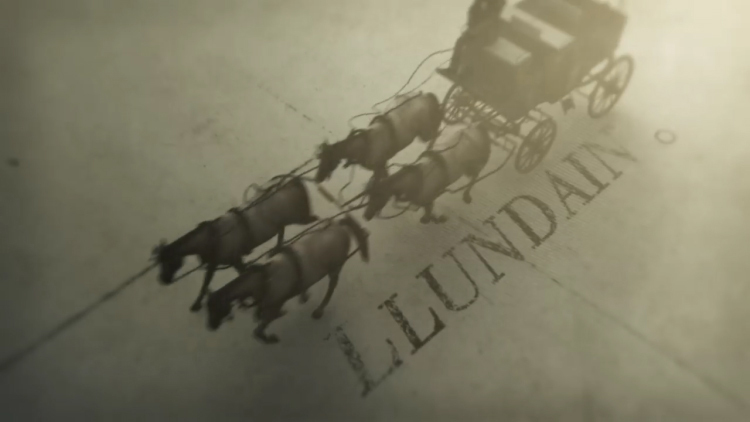 The titles followed the coach on it’s journey along the surface of an etched map from the period. 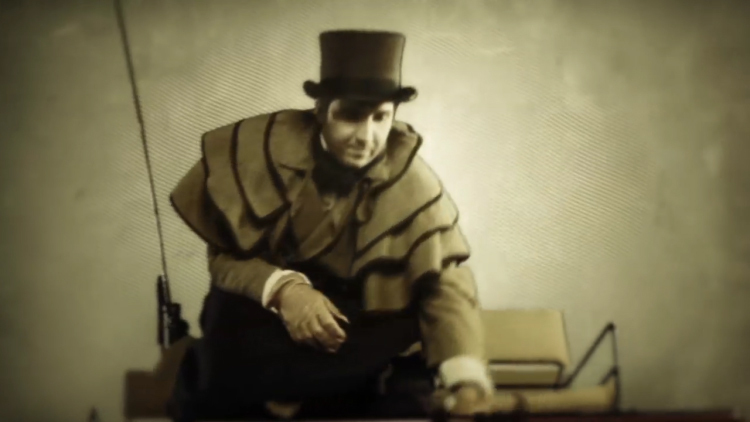 The coach, horses and footage of the coach driver/presenter were all designed in the style of an aged etching as if part of the map. 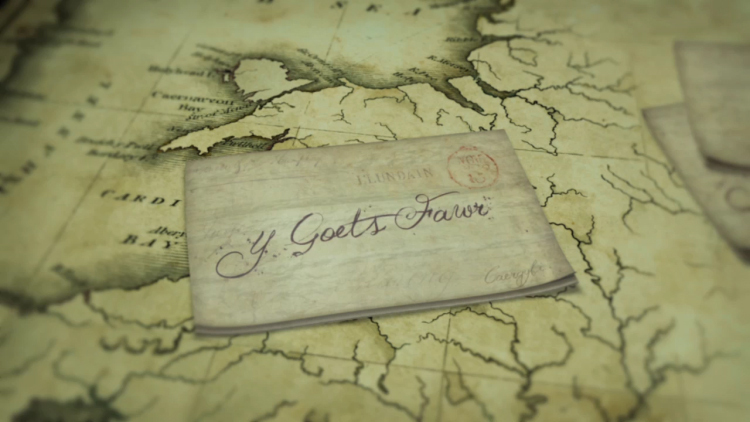 The title sequence ends with the coach arriving at it’s destination with the logo, scrawled on a period envelope, being delivered.